The S50 range, made by Vitra, truly does live up to the Vitra name as being one of the world leaders in bathroom design. 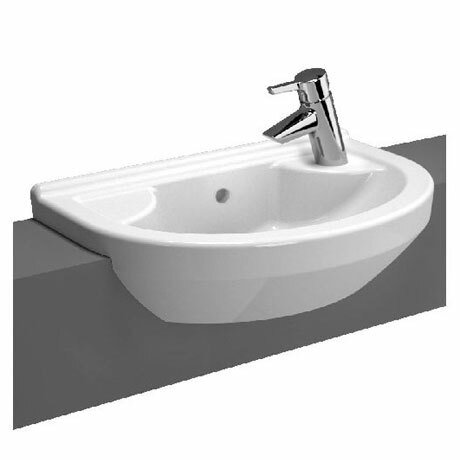 The distinctive style of this Compact Basin is brought to you by VitrA with a tap hole on the left or right hand side of the basin. This Basin is so appealing that it attracts favourable attention. This basin is not only likeable but also pleasing to the eye. It has a wonderful smooth surface and can be co-ordinated in any modern or traditional bathroom.